Fred fakes illness so he and Barney can get out of taking their wives to the opera. Using prehistoric helicopter as a means of escape, the two of them join their bowling team for a night of fun. They almost get away with their scheme, until loose-lipped Barney gives away their nights activities. Tjejerna är spårlöst försvunna och grabbarna drar ner på stan för att lira lite jazz. Fred and Barney jointly build a swimming pool, but Barney hogs the pool time, angering Fred. To get even, Fred hires a pal to pose as a police officer and break up one of his neighbors pool parties. Wilma and Betty win a trip to Hollyrock from a television contest. Finding themselves lonely and bored, Fred and Barney take vacations from work and follow them out. 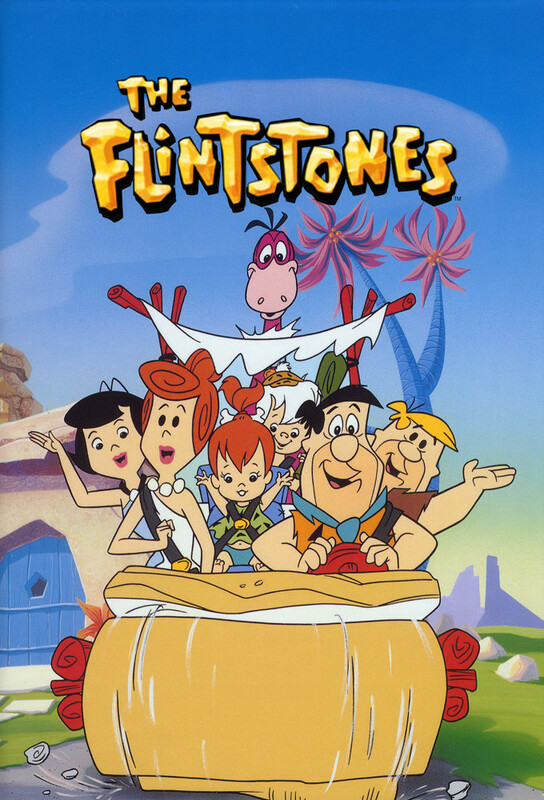 When Wilma is discovered, Fred muscles his own way into the world of television to bring her back. Barney hides the sweepstakes ticket he and Fred have bought in the lining of an old coat, which Betty subsequently gives to a passing hobo. While the boys try to recover the ticket, convinced it is the winning one, Wilma and Betty have their own winning ticket stashed away at the Rubbles house. To commemorate his tenth wedding anniversary (which he only remembers because it falls on Trash Day), Fred wants to buy Wilma a Stoneway piano. He finds a hot deal--ultimately too hot--from a shady, cash-only businessman named 88 Fingers Louie. Assuming the command of a Boy Scout troop, Fred quickly learns the hazards of a routine camping trip. Fred blunders his way through until an overnight flood leaves him and the troop hanging on a tree limb over a treacherous waterfall, hoping a ranger will rescue them.